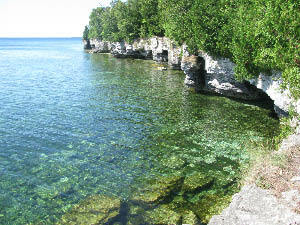 Often referred to as "The Cape Cod of the Midwest," Door County actually has five state parks and 12 lighthouses. With its beautiful scenery, fishing, biking and hiking are popular in this area...as well as camping. If staying in the area overnight, you'll have no problem finding the perfect lodging facility--from luxury resorts to family friendly motels. 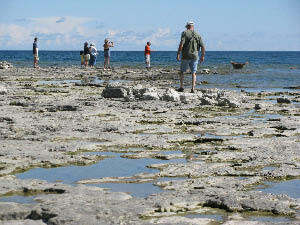 As you explore Wisconsin's Lake Michigan shoreline, remember that Cave Point is a "don't miss" destination. Bring your camera and take home some wonderful Door County memories! If you're arriving in Wisconsin via the S.S. Badger carferry, your first stop will be in Manitowoc. Follow the coastline road north to get to Whitefish Dunes State Park, Cave Point County Park and the entire Door County region.